Welcome to Dragooo, a world of fantasy and excitement, where you will raise your very own dragon. In the depths of Mount Kami there is an adventure waiting for you like no other seen on the iPhone, all only a finger touch away. underground tunnels filled with magic and beauty. 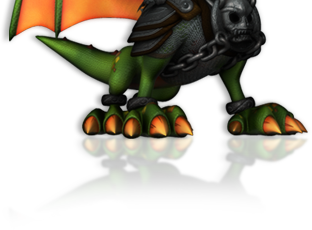 Dragooo v.1.1 has been approved and is available for download on the App Store. Dragooo has now been optimized for 2nd generation devices. We are working on additional gameplay and will notify you when that is available. Thank you for your patience. Dragooo is now available on iTunes! Check out the review at Touch Arcade. Greetings to the launch of the Dragooo website. Dedicated to a game that is sure to provide fun game play for hours. Finishing touches are being made to the game as we speak. Mid April Dragooo is being launched to iStore around the world. Dragooo HD for the iPad will commence soon.